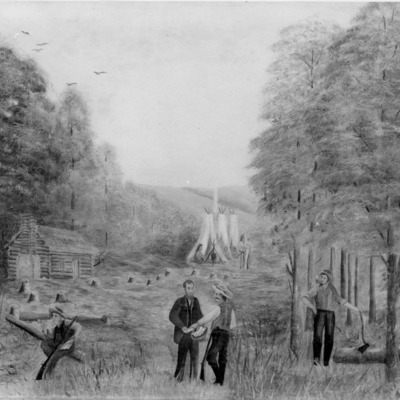 Photograph of the oil painting 'Logan Fontenelle' by George Simons. Painting is the property of Joslyn Art Museum. 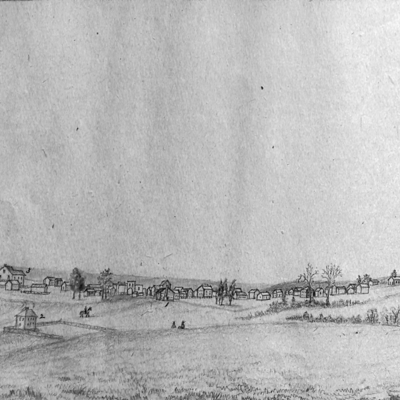 Drawing of Council Bluffs in 1853. 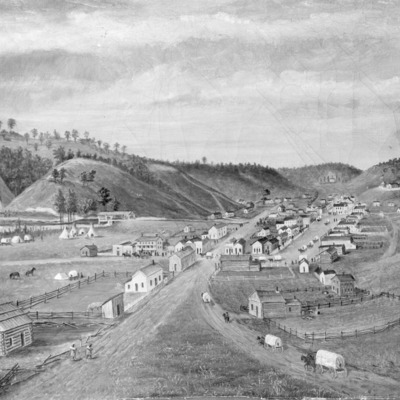 Photograph of an oil painting by George Simons. 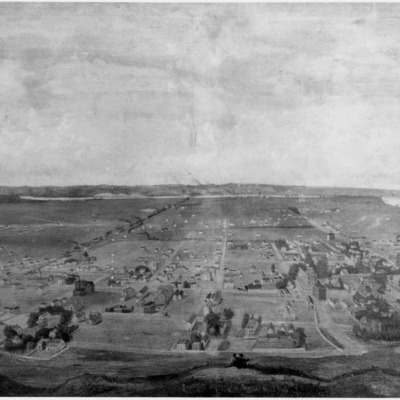 View of Council Bluffs from the bluffs looking west. Painting is at the Joslyn Art Museum. 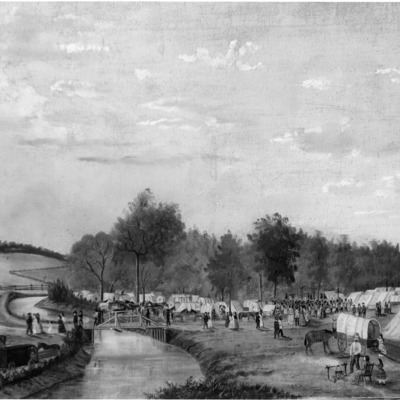 Photographic reproduction of the George Simons painting, Council Bluffs in 1851. 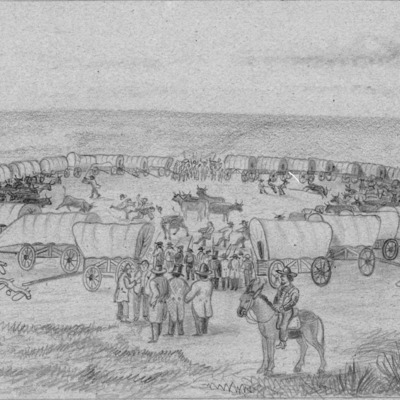 Printed at bottom of image: "Council Bluffs in 1851." Photograph of an oil painting by George Simons. Original is at the Joslyn Art Museum. 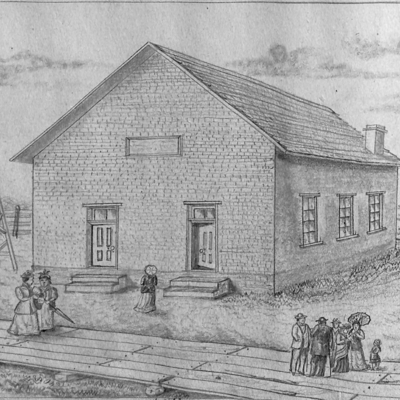 Caption: Congregational Church erected in 1854 & 1855 on Pearl St. ground now occupied by [...] block begun in Aug 1854 and finished in Spring of 1855. Vacated Sept. 12, 1869. 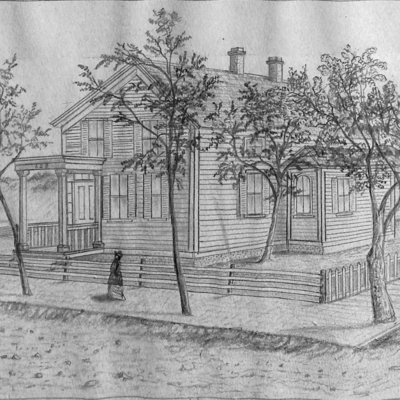 NE Corner 4th St. & North St.
Home of Sylvanus Dodge (D 1871) and his widow Julia Dodge (D 1888) and of N. P. Dodge 1858-1864. Erected in 1858 & occupied by Mrs. J. T. Dodge. 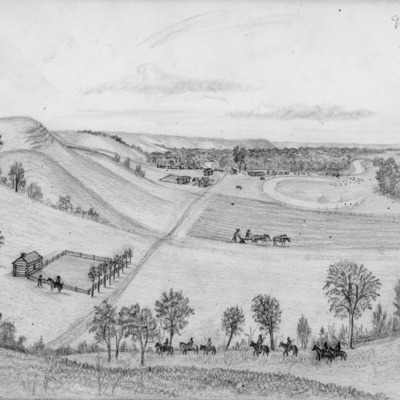 Consists of drawings made by Simons during railroad survey projects in Iowa and Nebraska beginning in 1853. 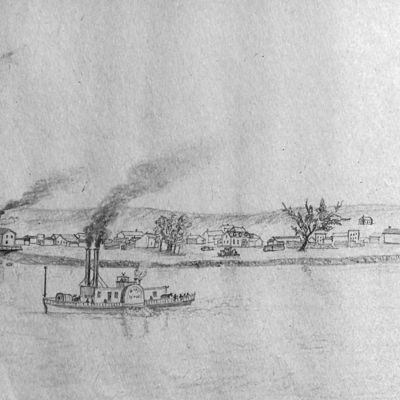 Drawing of Sioux City Iowa, 1856. 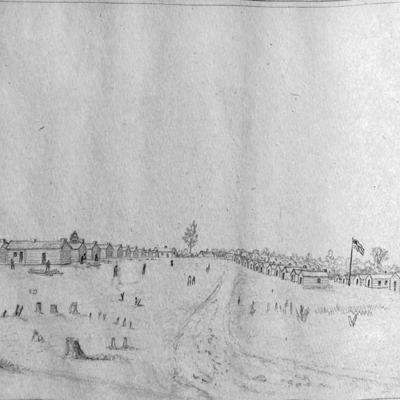 Twenty Ninth Iowa Infantry in Winter Quarters. Little Rock, AK. 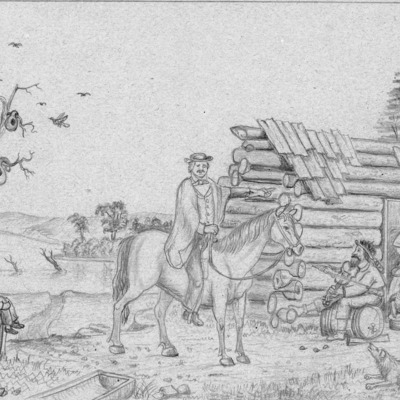 Winter 1864 & 65. 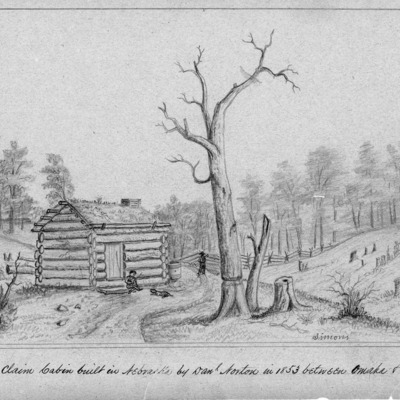 The first Claim Cabin built in Nebraska by Dan Norton in 1853 between Omaha & Bellevue. 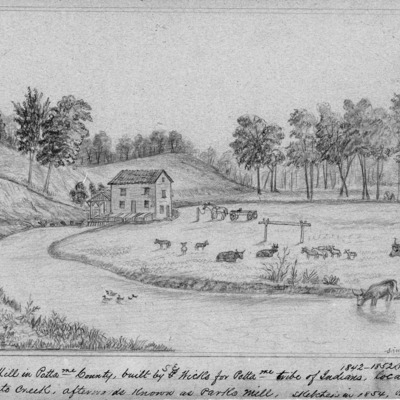 First Grist Mill in Pott County built by S E ... for Pott tribe of Indians, located on Mosquito Creek, afterwards known as ... Mill. 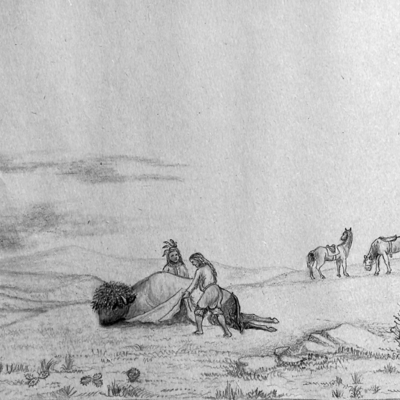 Sketches in 1854. Rebuilt in 1854-1852. 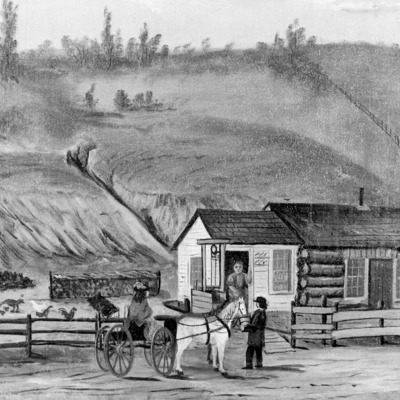 First temporary bridge between Council Bluffs and Omaha and the first train of cars crossing, Winter 1867. 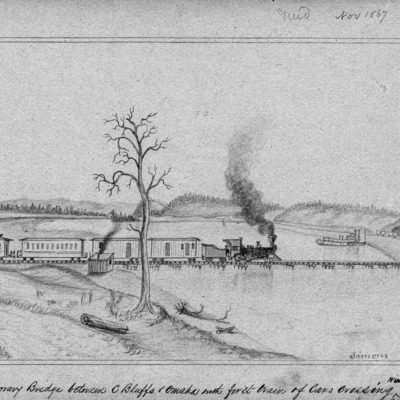 Captain Carlisle's California Train on the Platte Valley 1859. 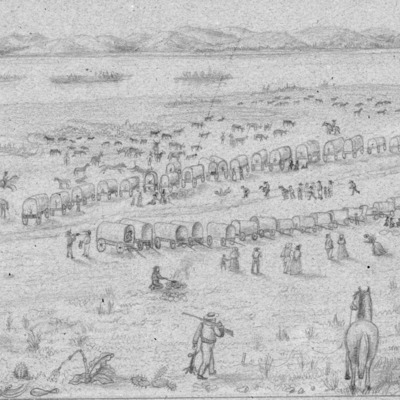 Looking South over the claims of Sylvanus Dodge and G. M. Dodge to Ferry across Elkhorn River. 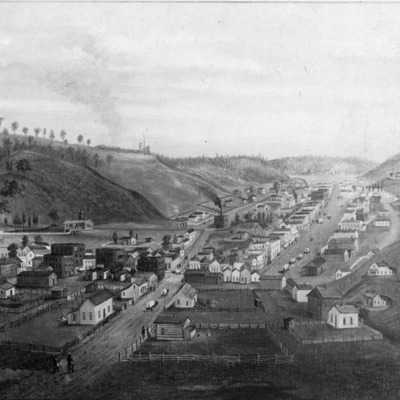 1854-1858.